SARG gravito-inertial effect (Stimulated Anomalous Reaction to Gravity) reported at the 27th Annual Meeting of the Society for Scientific Exploration (SSE), June 25-28, 2008, Boulder, CO. (Video record in SSE webpage). Author: Stoyan Sarg; Book: "BASIC STRUCTURES OF MATTER - SUPERGRAVITATION UNIFIED THEORY, Trafford Publishing, Canada (scientific book). Book info and extracts; Book presentations; info by publisher and direct purchasing or by Amazon.com (search by title) or a downloadable electronic book. Book presentation and poster report in the International Conference on Future Energy (COFE-2006) 22-24 Sep 2006, Washington DC. PHYSICAL VACUUM CONCEPT NOT INVESTIGATED IN THE HISTORY OF PHYSICS! BREAKTHROUGH: ONE FUNDAMENTAL LAW IS BEHIND THE GRAVITATIONAL, ELECTRICAL AND MAGNETIC FIELDS! The "dark matter" is not in distant galaxies! We live in a sea of hidden matter - around us and within us - a underlying structure of the physical vacuum! It can serve as a reference point for solving the space-time enigma! RESULTS: Physics with objective reality, causality and logical understanding! Unified theory without absurdness! A new vision about Micro-world and Universe! Particle physics without infinities, Quantum Mechanics without uncertainty principle, Relativity without paradoxes, Cosmology beyond the controversial "Big Bag"! Structure of elementary particles and physical models of the atoms! What is behind "annihilation"? Classical approach leading to understanding how the electrical and magnetic fields are related to the gravity. AMAZING TREASURES IN THE THEORETICAL AND APPLIED FIELDS OF PHYSICS STAY UNTOUCHED! - Two super dens fundamental particles able to vibrate and congregate. Their parameters are associated with the Planck’s scale. - A Fundamental law of Super Gravitation (SG) - an inverse cubic law valid in pure empty space. 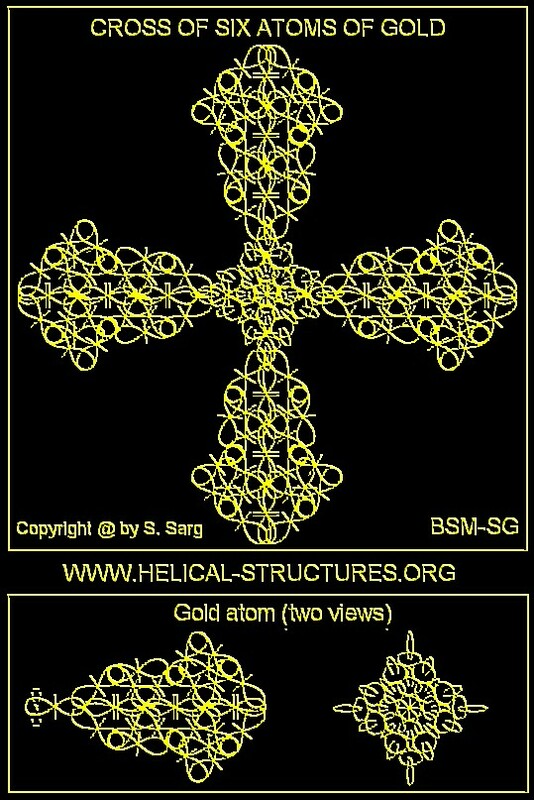 An enormous abundance of these two particles, with energy beyond some critical level, are able to congregate into self-organized hierarchical levels of geometrical formations, based on the fundamental SG law. This leads deterministically to creation of space with quantum properties (known as physical vacuum) and a galaxy as observable matter. All known laws of Physics are embedded in the underlying structure of the physical vacuum and the structure of the elementary particles. The fundamental SG law is behind the gravitational, electric and magnetic fields and governs all kinds of interactions between the elementary particles in the space of physical vacuum. The revealed structures of the physical vacuum and elementary particles with interactions governed by SG law permit analysis of longstanding problems in different fields of Physics (Particle Physics, Quantum mechanics, Relativity and Cosmology) by using a classical approach in a real 3-D Euclidian space. The gravity and the electrical charge are not intrinsic features of the particles, but effects of interaction between particle's structure and the fine structure of the physical vacuum. The magnetism and inertia are specific reaction effects of the physical vacuum in a case of particle motion. The applied original approach permits a deeper insight into lower levels of matter organization, levels below the elementary particles. Any physical phenomenon or unsolved problem could be effectively analyzed at such levels. Every point of space in which we live and observe (down to ~ 1X10-20 m) contains two types of Zero Point Energy (ZPE) - a static and a dynamic one. Presently, the dynamic one is only envisioned by contemporary physics. The observable signature of the dynamic ZPE is the Microwave Cosmic Background temperature of 2.72K. (see the derived results in Chapter 5 of BSM). The hidden static ZPE is much larger and it is a source of the nuclear energy. The Helical Structures Forum (HSF) is an international club with purpose for discussion and promotion of advanced scientific knowledge about the physical structures in the nature from micro to macro scale. HSF endorses a new approach for study of natural phenomena in different fields of physics. The principles of real objectivity, causality and logical understanding are strongly observed. The analysis must be free of absurdness, logical inconsistency and abstractness. (See more about the objectives of HSF). The new approach and methodology are described in the article http://lanl.arxiv.org/abs/physics/0205052 (May, 2002). They are applied in the recently physical theory called Basic Structures of Matter - Supergravitational unified theory (BSM-SG). BSM-SG puts the theoretical physics in the direction envisioned by the greatest physicists, Isaac Newton, Michael Faraday, James Maxwell, Nikola Tesla, lord Kelvin, Albert Einstein BSM restores the wrong turn in the Theoretical Physics made in the past century. The discussion club of HSF is the Yahoo group "matter-energy-gravitation" (see the bottom of this page). While free of unnecessary abstractness, BSM-SG theory permits a new approach for interdisciplinary studies. Atomic physics with a visual perception. Visualizing the unseen world of the elementary particles with their rich structures by real 3D views. Bridging the gap between fundamental physical science and applied fields. FIELDS OF APPLICATION: Using the derived atomic models and revealed subatomic processes permits a deeper insight into: New energy, Analysis of biomolecules, Modeling in nanotechnology. The successful analysis of tough physical problems when applying the BSM theory can be compared to the fast advance of the computer science. Reason: They both rely on clearly defined fundamental concepts, while the following developments comply to the logical principles. Abstract. The thesis Basic Structures of Matter - Supergravitation Unified Theory (BSM-SG) applies a theoretical approach in which a more general concept about matter, space, time and gravitation is used. The known physical laws and postulates are derivable if considering that the physical vacuum is a classical void space filled with a unique self-sustainable grid. A model called Cosmic Lattice (CL) is suggested according to which the vacuum possesses an underlying structure built of two types of super dens and small sub-elementary particles arranged in 3D lattice nodes. These particles, denoted as twisted prisms, are natural geometrical formations of two super-dense fundamental particles associated with the Planck's scale. In a pure void space the prisms of the same type are attracted by forces inversely proportional to the cube of the distance. These forces are attributes of Super Gravitational (SG) field, a fundamental law in Nature governing the interactions between such of super-dense particles, which build also the elementary particles. Additionally, the SG field of the prisms exhibit an axial anisotropy and a right or left hand twisting due their lower level structure. The observable space is filled by CL grid of alternatively arranged nodes in a diamond type of lattice. Each node contains 4 prisms of same type kept by SG forces. The estimated node distance is about (1~2)*10-20 m, while the intrinsic matter density of the prisms is about 1013 times greater than the average density of atomic matter. The individual node of the CL structure has a flexible geometry, a freedom to oscillate in a complex spatial mode, so it possesses an energy well. The complex dynamics of CL node oscillations is related to the physical parameters permeability and permittivity of free space. The common mode oscillations with running phase synchronization are related to the parameters Compton wavelength and velocity of light. The CL space exhibits quantum features and provides conditions for fields: gravitational, electrical and magnetic. The latter two fields get physical explanations in which specific parameters of the CL node dynamics are involved. The elementary particles (involved in the proton and neutron) are complex helical structures built of prisms in a unique process of crystallization. The lower order helical structure has a right or left-hand twisted internal lattice which is denser than the Cosmic Lattice. The SG field of this internal lattice is able to modulate in a specific way some of the oscillating parameters of the surrounding CL nodes, creating in such way an electrical field. The same internal lattice causes a displacement and folding of the CL nodes when the particle moves in CL space. This process in which proximity fields are involved defines the intrinsic inertial properties of the elementary particles and atomic matter. Some of the most specific CL space parameters are the following: a Static CL pressure, a Dynamical CL pressure and a Partial CL pressure. They are related respectively to: the mass of the elementary particles, the CL space background temperature (2.72K), and the inertia of the atomic matter. Theoretical equations of these parameters are found and expressed by the known physical constants. A mass equation applicable for the elementary particles is derived by analysis of the dynamical interactions of the electron in CL space environment. The Planck’s constant and the Quantum mechanical rules obtain physical explanations. The velocity of light is a derivable parameter. The relativistic concept of an inertial frame obtains a logical physical explanation and the effects of the General and Special relativity are understandable. The CL space allows also propagation of charge quantum waves - virtual particles, which sometimes could be confused with the real ones. The results from the developed models are in excellent agreement with all experimental and observational data in a range from the micro-cosmos to Cosmology. From the point of view of the developed concept, the adopted validity of some of the physical laws and postulates is not absolute. This put the existed so far vision about the micro and macro Cosmos into question, while permitting a deeper insight into the fundamental physical processes in Nature. BSM-SG brings unperturbed logical understanding of every physical phenomenon. The proposed BSM-SG models are verified by cross validation of their output results with experimental data from different fields of physics. The unveiled low level material structures, involved in the physical vacuum and the elementary particles, further allows deciphering the structures of of the atomic nuclei. It appears that the rows and column pattern of the Periodic table is a signature of the protons and neutrons spatial arrangement in the nuclei. The electronic orbitals are strictly defined by the atomic nuclear configuration. In this aspect, one of the most useful results from the BSM-SG theory is an illustrative appendix titled Atlas of Atomic Nuclear Structures (ANS) showing the structural arrangement of the protons and neutrons in the atomic nuclei for elements from Hydrogen to Lawrencium (Z = 103). The individual protons and neutrons are presented by symbols, in order to simplify the complex nuclear drawings. The electronic orbitals are not shown in the nuclear views, but their spatial positions are easily identifiable. The Atlas of Atomic Nuclear Structures (ISBN 0-9730515-1-5) contains: Part I - Helical structures of subatomic and atomic particles; Part II - The atomic nuclear structures for the elements in the range of 1< Z < 103; Periodic table poster and theoretically obtained views of some atomic nuclei. The article "Brief introduction to BSM theory and derived atomic models", published in Journal of Theoretics, is useful for first acquaintance with the original concept. A complete summary about the BSM theory and derived output results is provided by the "Abstract paper of BSM theory". (See the hyperlinks below). The article "A physical model of the electron according to the Basic Structures of Matter hypothesis" is the first publication of one selected result in established peer reviewed journal "Physics Essays" (V. 16 No 2, 180-195, (2003)),an international journal dedicated to fundamental questions in Physics. It is cited in Scopus (the world largest abstract and citation database). Atlas of Atomic Nuclear Structures (including the structure of elementary particles), Journal of Theoretics, (section: extensive papers)!! Experiments showing velocity dependence of the light propagation (a motion through Ether). Methodological error in the "null result" experiments. The first (2001) and second (2005) editions of the BSM theory are electronic and contains 12 chapters. The third revised edition (2006) is a book with additional chapter 13. The mathematical analysis is accompanied by rich graphical illustrations including hundreds of figures. The results of the developed models are compared with experimental and observational data. Only data from peer-reviewed sources are used. Some of these data are included as figures with citation of their sources. Some advices to the reader. The BSM-SG unified theory is based on more general considerations about matter, space and time. The new approach required reformulation of some of the fundamental physical laws in the beginning, while the known laws and postulates become derivable or apparent from the analysis. From the beginning of the treatise, a number of new parameters and structures had to be introduced, while avoiding any abstractive assumptions. For this reason the reader is advised to follow the consecutive order of the chapters. Due to the fundamental aspect of the BSM-SG concept, the presented analysis touches different fields of physics. Some features of the fundamental relations between matter, energy, and gravitation become apparent only after a detailed acquaintance with the treatise. Once the reader become familiar with the BSM-SG concept, the predicted applications appear logically understandable. Electronic publication: The electronic publications of the first and second editions of the treatise has been free downloadable from 2001 to 2006, until publishing the book by Trafford Publishing, Canada. After that only some book excerpts are temporally downloadable. The Atlas of ANS is still available for download. Link to educational site www.heliconstruct.com with graphical illustrations demonstrating the Atlas of Atomic Nuclear Structures and its potential applications. Notes from the author about the Copyright policy. 2. The BSM thesis and the Atlas of ANS are both copyright protected. The author gives a temporal authorization for free distribution of the electronic version of the Atlas of ANS. Interested of New Millennium Physics and new discoveries? - put a link to this website! Note: Messages without text or containing attachments are filtered out. www.journaloftheoretics.com Journal of Theoretics. A peer review physical journal with a mission to advance scientific inquiry and knowledge by publishing credible peer-reviewed articles in the field of Theoretics. http://www.science-frontiers.com/index.htm Science Frontiers - bimonthly newsletter (since 1976) providing digests of reports about scientific anomalies; observations and facts challenging prevailing scientific paradigms. www.faraday.ru/net.htm New Energy Technology Magazine issued by Faraday laboratory (Russia) on English. This website is supported by the Helical Structures Press, Canada, an independent private organization with international collaboration. The purpose of this organization is to support independent scientific research challenging some adopted concepts in physics that are obstacle for further progress in some fields and deeper understanding of Nature. The long range goals of the Helical Structures Press are contemplated to vital problems of the humanity: solving the energy problem, preserving the ecology and the natural environments on the Earth. Copyright © 2001 HSF! All rights reserved.